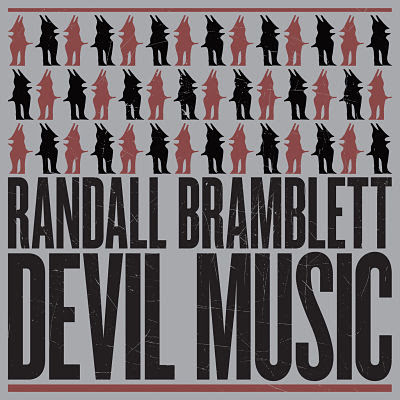 American born singer/songwriter/musician Randall Bramblett will be releasing his new studio album "Devil Music" on September 18th through New West Records. The album features special appearances from guitarists Mark Knopfler and Derek Trucks as well as pianist Chuck Leavell. Bramblett explains that the album was inspired by Howlin' Wolf's biography "Moanin' At Midnight" and how Wolf used to play "Devil Music." The new eleven song release begins with the album's first single "Dead In The Water," which features Mark Knopfler on guitar. The song's dark chugging blues rhythm is highlighted by Knopfler pealing off guitar riffs whenever there is an opening in the song. 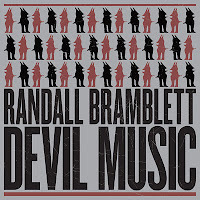 Bramblett sounds like the veteran blues man in the title-song, "Devil Music," while "Bottom Of The Ocean" has a bigger, gospel-like quality to its delivery. Slide-guitarist extraordinaire Derek Trucks accentuates Bramblett's falsetto vocals in "Angel Child," while former Allman Brothers Band pianist Chuck Leavell adds some southern dixieland jazzy soul to "Reptile Pilot." Randall Bramblett returns to his rock roots with "Strong Love," before finishing with the slow blues of "Ride" and the R&B flavor of "Missing Link." Following the release of the album, Randall Bramblett with be heading out on the road for a couple months. For a complete list of dates and to find out more about his new album "Devil Music," please visit his website at randallbramblett.com.